Hi everyone – please update your feeds and links to www.­nwfolklifefestiv­al.­org. Comments: Comments Off on Our blog has moved! Get down and drink up to the funky fresh blues of Shiftless Layabout tonight at Hale’s Ales from 6:30-8:30 p.m. In the last Northwest Brews & Blues of the season, we are giving you a slam-dunk finish with this brassy jam group. Don’t miss the opportunity to listen to live music and enjoy local beer while supporting Northwest Folklife! Fifty percent of the proceeds raised from the sale of O’Briens Harvest Ale at Brews & Blues benefits Folklife. Also, if you haven’t joined Friends of Folklife yet, new members can do so tonight for the very special 40th Festival rate of $40 for the year. Join and we’ll give you a t-shirt AND a beer, compliments of Northwest Folklife! Who can resist such a tempting deal? The best part of this evening (besides good beer and great music)? You can support local culture and traditions all while having a fun night out! Friday and Saturday night, check out the CD Forum’s Creation Project Showcase at the Rainier Valley Cultural Center. 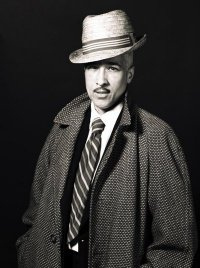 The show features works by four Black performing artists based in King County, the culmination of this year-long new works and professional development program created by the CD Forum, including Storme Webber, a past Folklife performer. Need a last-minute yet thoughtful gift for Mom? Head over to the Intiman on Saturday from 11am to 5pm for EtsyRAIN, a show featuring local artists and crafters. The first 50 customers get free swag bags, you get to feel good about supporting your local economy, and Mom gets a sweet handmade gift! And while you’re over at the Seattle Center, be sure to take part in the Spirit of West Africa, a free event celebrating the music, culture and art from the West African countries of Senegal, Ghana, Guinea, Benin, Gambia, Nigeria, Zimbabwe and Liberia. According to my random number generator (no, really), congratulations are in order to Karen Lester, who will receive 2 free tickets to see Arlo Guthrie and family this Saturday! Everyone else should just bite the bullet and buy a ticket, because it is well worth the $27-40 to see Guthrie in person. 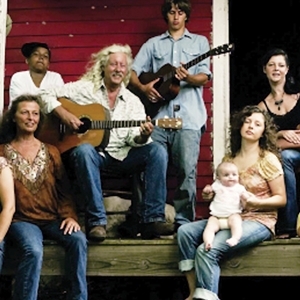 Win Tickets to see folk music legend Arlo Guthrie! If folk music had royalty, Arlo Guthrie would certainly be one of them. 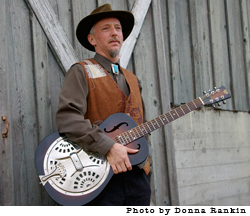 Son of Woody Guthrie and perhaps best known for the seminal album Alice’s Restaurant, Arlo and his backing band family are coming to the ShoWare Center in Kent this Saturday! In addition to Arlo’s music, they’ll also be playing a selection of Woody’s unpublished lyrics set to music. One lucky commenter will be chosen at random to receive a pair of tickets; leave your comment by noon tomorrow (Wednesday) to enter! In the meantime, hear’s some vintage Arlo for your rainy-sunny-rainy Northwest afternoon.